My last outfit post of 2012! 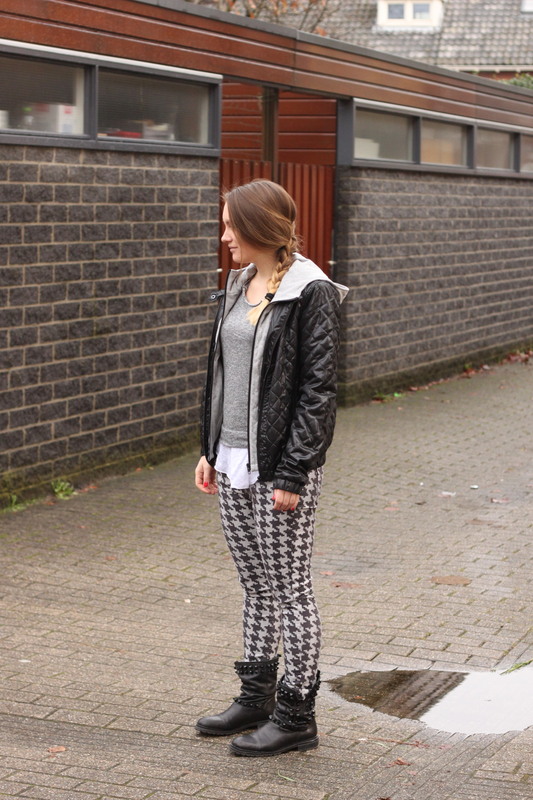 Choose to share an outfit that is totally me: grey, comfy, bikerboots: me! Back to the outfit, new is the quilted bomber that I got a sample sale. I wasn't sure if I should get it (the boy hates it!) but since the winter is so mild, it's the perfect jacket to run errands in. It shields me from the rain, has pockets and is so on-trend right now. Tomorrow it's New Years Eve! Have you got something sepcial plannend? I sure have... still not sure what I'm going to wear. Tips anyone? Wow! Super cool! Goede keus om het jaar mee te eindigen!